Commissioner of Police (CP) in charge of the state Omololu Bishi disclosed this to newsmen while parading the suspects at the state Police Command in Makurdi on Tuesday. 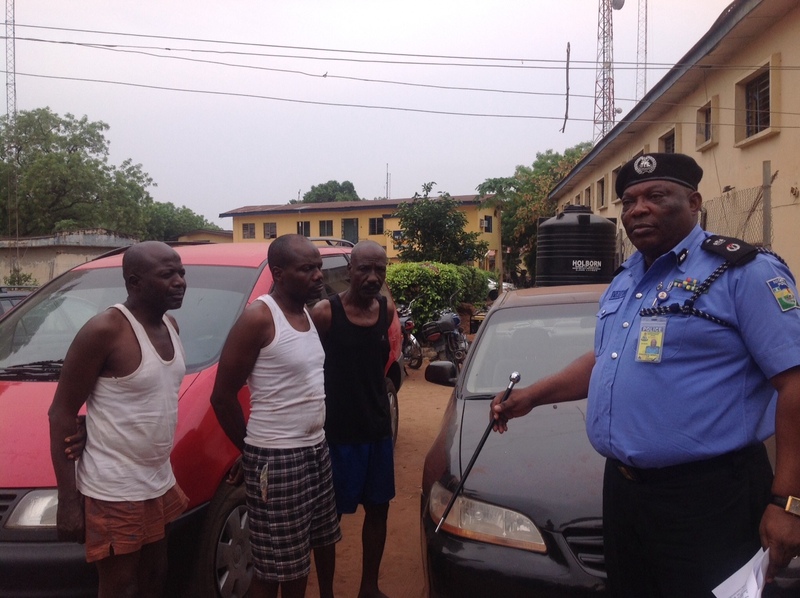 The suspected criminals included a three-man syndicate of elderly men whose modus operandi was to hire vehicles in Makurdi and Otukpo towns as passengers and then drug the driver with sedatives before dispossessing them of their vehicles. “One Muhammad Sarki (54) of Adamawa State was arrested during stop and search at North Bank and a Sharon bus which was snatched from the driver was recovered from him,” the Commissioner stated. Bishi said a police investigation led to the arrest of two other members of the syndicate whose names were given as Abubakar Garba alias Mazamaza and Ibrahim Abu, while a Honda Accord car was also recovered from them. Another suspect, Ifeanyi Christopher, 34, was arrested with a stolen Toyota Sienna bus in Yola, Adamawa State by operatives of the Special Anti Robbery Squad (SARS). The Police Commissioner said the Sienna had been stolen on January 27 from where it was parked at Officon Hotel along Otukpo Road in Makurdi. “Unrelenting efforts by the Benue Police Command SARS operatives led to the arrest of the suspect and recovery of the stolen vehicle. Investigation is ongoing with a view to recover more of such vehicles,” Bishi stated. In a chat with newsmen, the suspects including Muhammad Sarki, a 54-year-old father of nine, and Ifeanyi, a 34-year-old father of one, confessed to the crime and blamed the devil for their action. Sarki confessed that he bought food from a popular eatery in Makurdi and laced it with Valium-5 before giving it to the driver who ate it and went into a deep sleep. The suspect said by the time the driver finally woke up he had made away with the vehicle. But luck ran out on Sarki when a police stop-and-search apprehended him before he could make a getaway out of Makurdi.